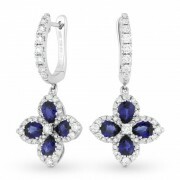 SKU: DE11041. 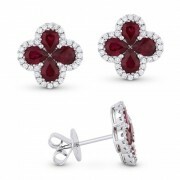 Categories: 18K, Diamond Earrings, Earrings, Gemstone Earrings, Gold Color, Red, Ruby, White gold. Tags: diamond earrings, flower earrings, ruby, ruby earrings. 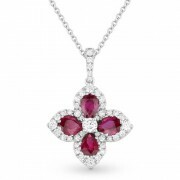 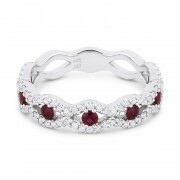 Pear shaped ruby petals on flower shaped designs paved with round cut diamonds set in 18K White Gold.